Choose an option 16 oz. 8 oz. 4 oz. 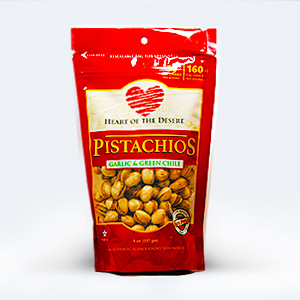 Aside from being amazingly tasty, pistachios are among the healthiest snacks around. And these flavored pistachios are grown and produced right here in the Land of Enchantment. They’re Star-K Kosher Certified, too! 16 oz., 4 oz., 8 oz.